Application: Suitable for Living Room, Bedroom, Kitchen, Bathroom, Dining Room, Guest Room, Office, Hotel, Cafe, Restaurant, Bar and Hall. Quality Guarantee: We have strict quality control team, Professional skills and talented artists, each painting is our artists using only top quality oil paints and canvas 100%hand-painted meticulously, but price is much less than the market with class painting, very preferential. Welcome patrons! UAC WALL ART is one of the largest manufactory and export for modern canvas wall art, framed art , shadow box artwork, including 100% hand painted oil paintings on canvas, acrylic paintings, Mixed-media paintings, 3D shadow box, 3D framed artwork etc. 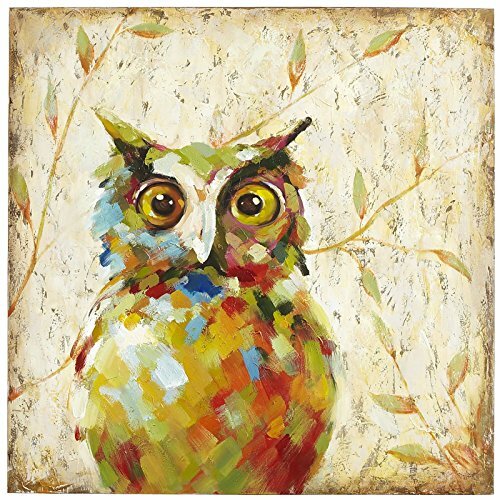 Our wall decor category provides high quality yet affordable canvas art, shadow box art . Shipping Detail: Item will be shipped within 2~3 business day when the full payment is received. In general the shipping time will be approximately 7~15 business days. Gallery wrapped and stretched with wooden frame on the back. Well packed in carton box. It is shipped by Amazon from US. If you have any questions about this product by UAC WALL ARTS, contact us by completing and submitting the form below. If you are looking for a specif part number, please include it with your message.